Irresistible iPad 2 Promo for the launch of our new website! Just like Kos Pictures, the iPad 2 is packed with powerful and easy to use features. With its gorgeous touch-sensitive display you can browse, pinch, zoom, scroll and flick with your finger to your favourite Apps, website, music, movies, emails, maps...the lot. You can even play our exciting App sail racing game "Caribbean Racing". Want one? All you need to do is create an accumulative spend on your account of £5,000 before December 31st 2011 to get the WIFI 16GB version or spend £5,500 and get the WiFi 64GB model. We will even deliver the iPad 2 to your doorstep - just let us know your preferred address for shipping. 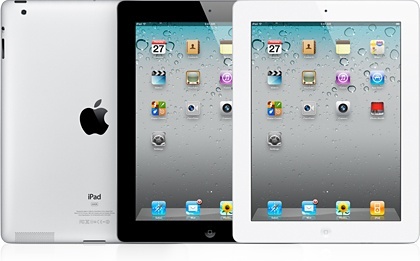 Please note: The offer is for the iPad 2 in black or white sold in the UK. Above prices are ex-VAT and apply to cleared funds only.